If you’re a blogger, you may have overheard a lot of Penguin chatter in and around the blogosphere. Optimising a blog can be easy when there’s so much room for daily content updates but if you don’t conduct the best SEO practices when trying to optimise your website, you may be hit with the repercussions of Google’s latest algorithm updates. Google Panda launched back in April last year and websites including ecommerce sites, business websites and blogs were affected as the update attempted to weed out anything seen as ‘spammy’ behavior by Penguin. 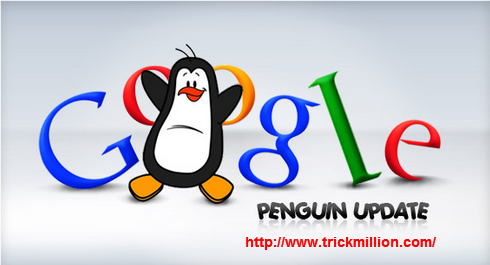 Quite simply, Penguin is an algorithm update rolled out by Google’s Webspam team in their ongoing attempt to improve usability for Google users. The aim of Penguin is to improve rankings for relevant, useful and high quality websites and penalise sites which use black hat SEO techniques to raise the profile of their domains. So in short, Penguin will flag up poor quality/spammy sites by looking at various different factors. How will Penguin analyse your website? • Keyword relevancy – are the keywords connected to your website relevant to what you are writing about / promoting? • Keyword density and keyword stuffing – have you used the same target keyword too many times? This can look spammy and is not favoured by Penguin. • Outbound links – are you linking out to low quality websites? If you are, remove these as Penguin will detect these poor quality links. • Inbound links – have you been building links to your website through link farms and using unnatural keyword anchor text? Link building strategies need to be considered so sourcing quality links is a must. 1. Write unique and useful content – duplicate content is a big ‘no no’ so never steal anyone else’s writing. Always create your own unique pieces of content. 2. Do not over optimise key phrases – if you are targeting keywords for your blog posts, use a word cloud tool or a keyword density tool to make sure you are not over stuffing your content. 3. Make your keywords relevant – if you have a beauty blog, it may not be best practice to promote irrelevant brands / products or to endorse low quality and/or gambling websites. The best practice for all blogs is to be true to what you’re website is about and providing useful information for your readers. 4. Don’t pay for low quality links – paying for links to your blog site is a dangerous game. These links are often very low quality and in the case of Penguin, can do more harm than good. The best way to grow inbound links is to take part in shared blogging and guest blogging opportunities. For more useful info on blogging, SEO or Google’s algorithm updates, make sure you visit our blog at The WebMarketing Group. Dear for a homepage how much external links is suitable that we can add it up in our homepage ?